One of the most important thing to do after retirement is finding a hobby that is both enjoyable and time consuming. After 10 years of retirement, I found my calling. It’s ceramics. 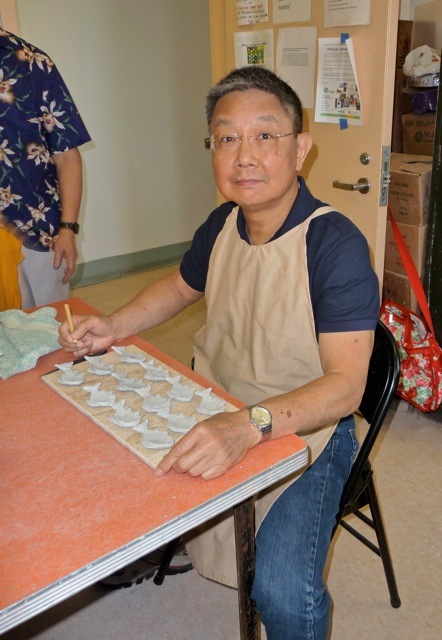 When we lived in New York City, we were fortunate to find the only senior center in the City that has free ceramics workshop. The materials were free, and we did not have to pay to take the class. The workshop was open five days a week, and we wound up working there three days a week. 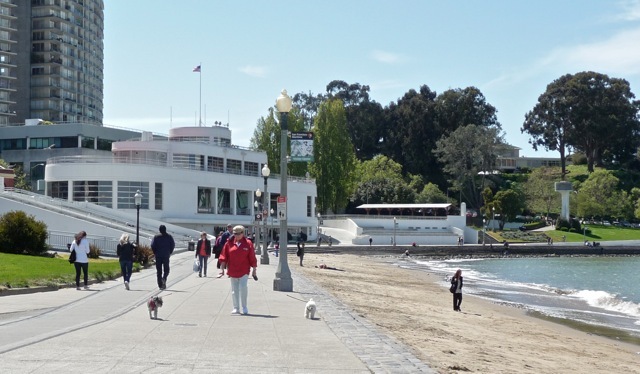 Now that we are living in San Francisco, we found a senior center right on the shore with a beautiful view of the bay. 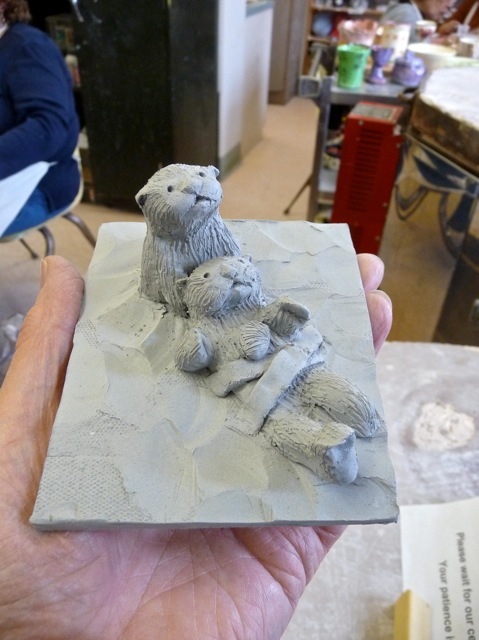 It also has a ceramics workshop open five days a week. Even though we have to buy our own supplies here, the surrounding is so lovely we have no complaints. I obviously enjoyed working on the clay pieces, even though I may look funny wearing an apron. I enjoy making realistic portrayals of life and its beauties. These are sea otters floating on the Pacific Ocean near California. 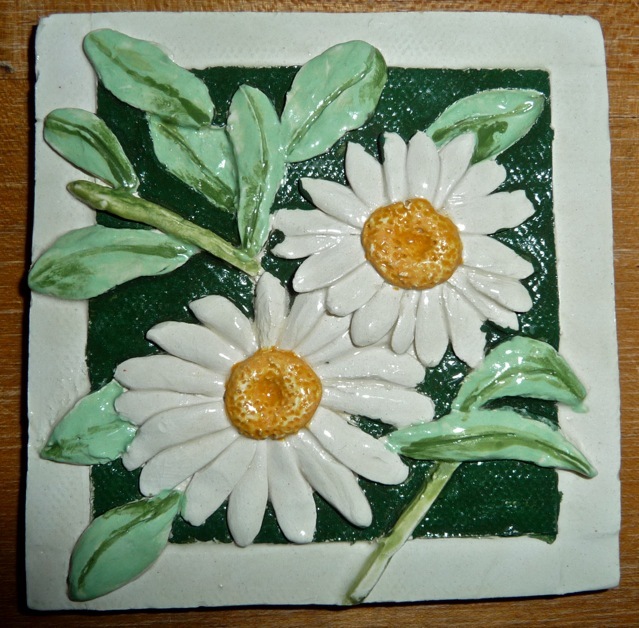 For the last few months, I concentrated on making tiles with flowers. 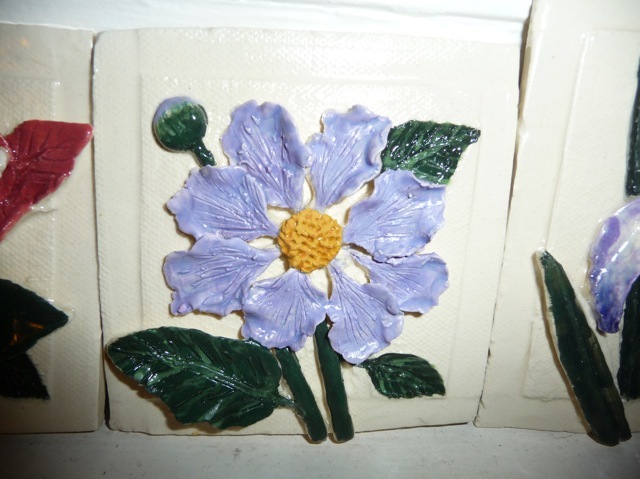 I fashion pieces of clay and paste them to a slab to form flowers and leaves. This is a ginger flower ( 薑花). 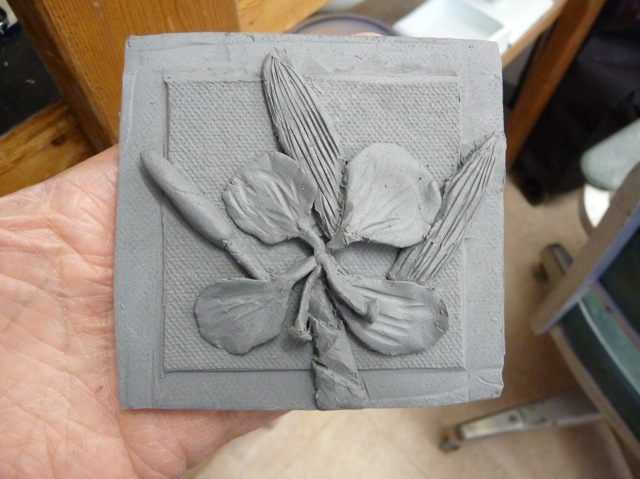 After thorough drying, this piece is fired to form a hard bisque. 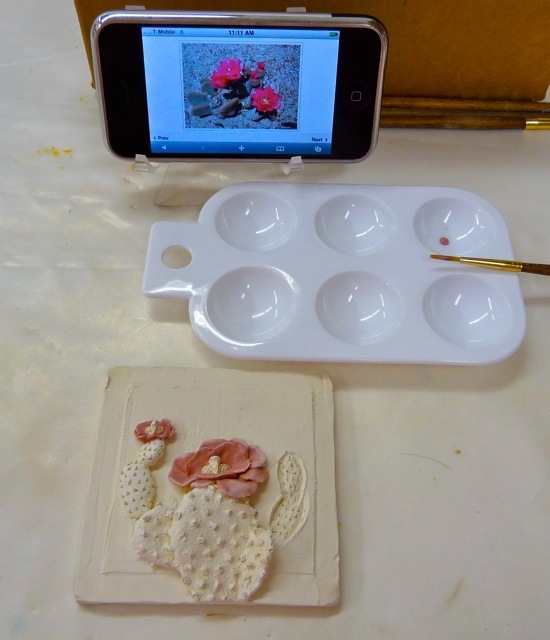 Using my iPhone to download a picture of flowers, I paint the bisque with underglaze colors. Then I cover the whole piece of bisque with glaze. 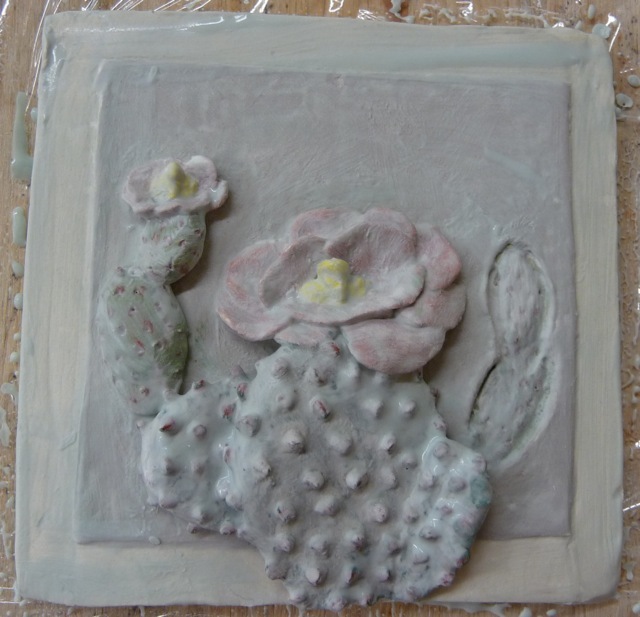 This piece is ready for a second firing. 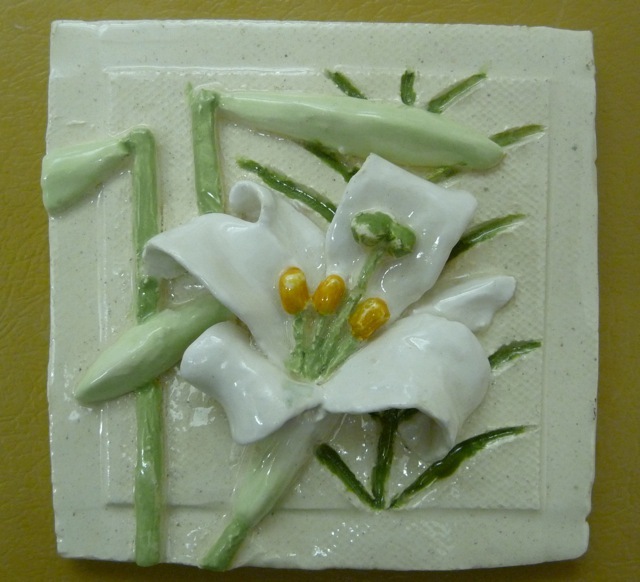 After the second firing, the tile emerges from the kiln with brilliant colors and sealed by a glossy glaze. This flower is a crepe myrtle (紫薇) that bloomed in Hong Kong and gave me great joy to see. This is known as 雞蛋花 in Hong Kong. I still have trouble remembering its English name frangipani. 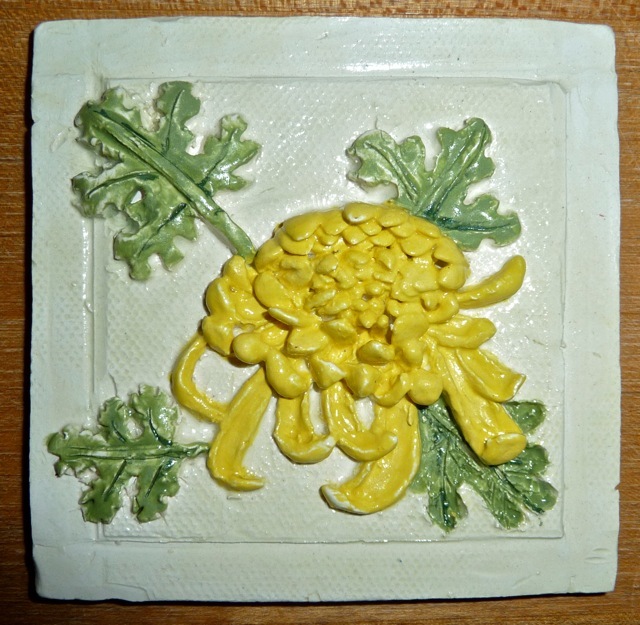 The many petals of this chrysanthemum necessitated a lot of patience, but I am happy with the end product. I learned to paint the background to highlight the flowers. This Easter lily gives me a sense of serenity. A collage of tiles I made. 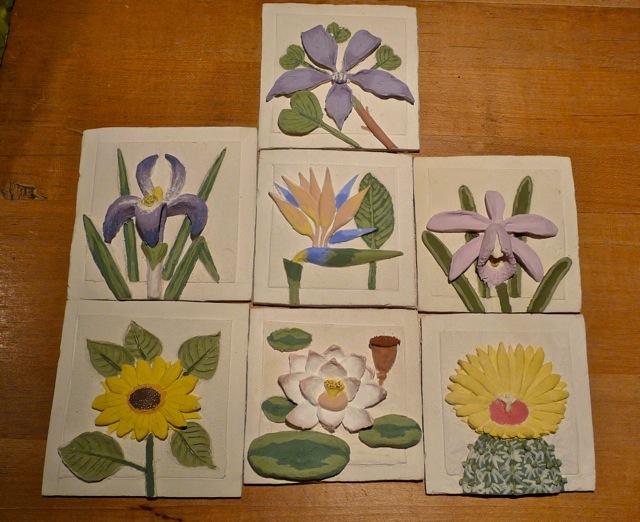 In four months, I made about 40 flower tiles. They are decorating our home. 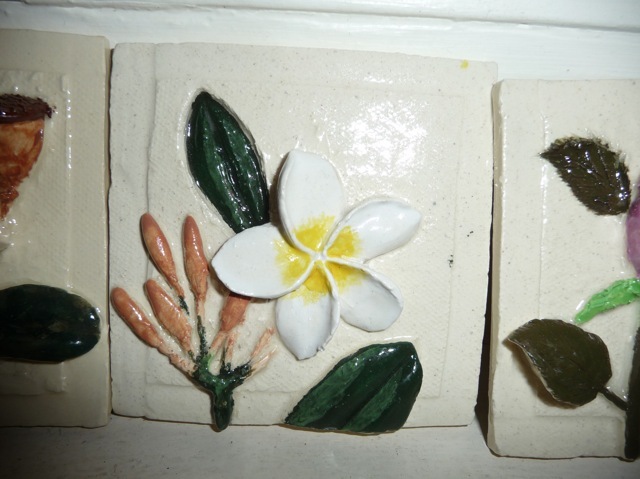 Before plunging into the flower tile making marathon, I made other items. 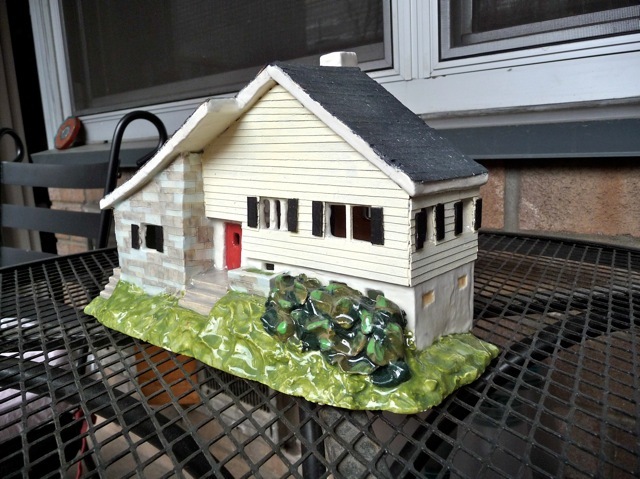 This is a model of our house in New Jersey. With a candle inside and the windows lit, it gives us a warm nostalgic feeling of our life there. 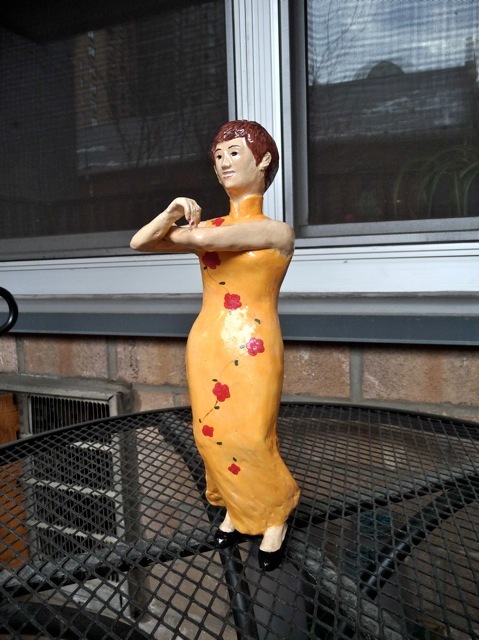 This is my portrayal of Sally dancing the margarina line dance. She still fits into the wedding cheungsam (旗袍) she wore 44 years ago. 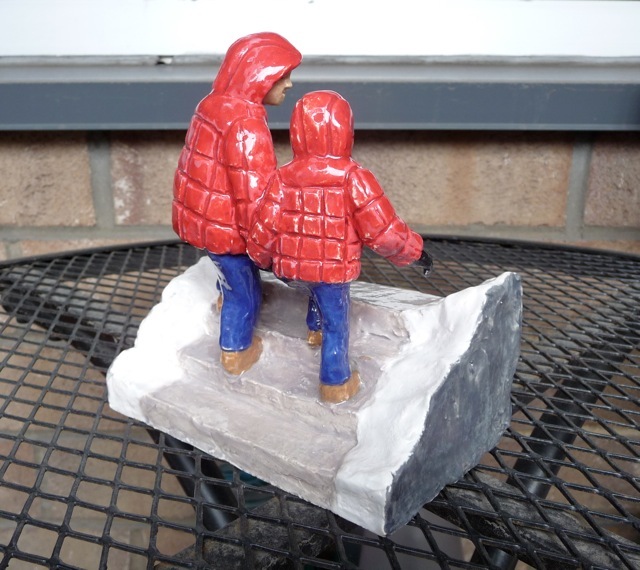 The five snow falls in New York in January gave me the inspiration of the two of us climbing a snow covered stairs. We don’t have to worry about snow in San Francisco. Maybe I will make one with us running around in T-shirts. Posted by Robert Wu on Saturday, May 7, 2011, at 1:28 am. Filed under Uncategorized. Follow any responses to this post with its comments RSS feed. You can post a comment or trackback from your blog.